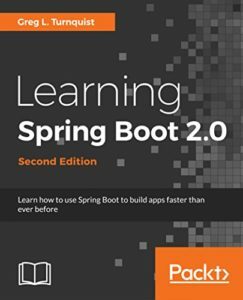 Learning Spring Boot 2nd Edition released! I’ve been working on this for over a year, and today is the day. 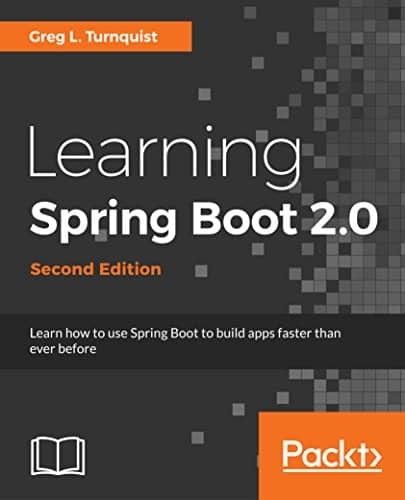 Learning Spring Boot 2nd Edition released! 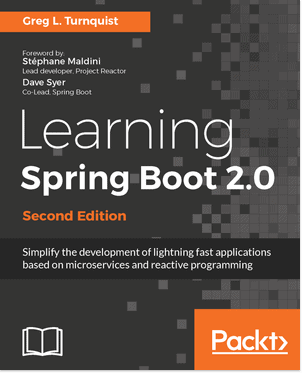 To top it off, the WHOLE BOOK is written using the new Reactor paradigm found in Spring Framework 5.0. This means Reactive Web, Reactive Data Access, Reactive Messaging, Reactive WebSockets, and even Reactive Security, all groundbreaking technologies. There isn’t any other book on the market like this. And not only is this a fantastic stack, but in each chapter, we build up a social media platform. Chapter by chapter, we add critical features for demonstration purposes, and in the process, are able to learn how to do these things reactively, in ways you can easily adapt to the problems you are solving today. In short, not only is it groundbreaking, it’s practical and pragmatic. Coding examples you can put to work immediately in whatever you are trying to solve. It may take a little bit of time to get pushed all the way the Amazon, so stay tuned.